The Word of God continues to penetrate the hearts of many people when they hear or read it in their mother tongue, and they are changed by it. In December, I took a trip with the Pogoro project leader, John Kahonga, to visit the Pogoro people in some of the villages of Tanzania. We ended up speaking with some of the youth in one particular village, telling them about God and answering their questions (some of which were very difficult!). John started reading. The Pogoro language has a very sweet, genuine sound. As they heard the words, the young people said, “What you said isn’t a joke, this is real!” One of them stood up and was almost crying. We prayed with them and they all gave their hearts to Christ. Since we left, they have been keeping in contact with the Pogoro translators and have been going to church regularly. The Kharam people have been longing for the Word of God in their own language, and now a Kharam translation project is being facilitated by The Word for the World! They recently received the Gospel of John and we expect the New Testament to be ready for print by the end of 2019. Become part of the vision to bring God's Word to all people in their heart language by 2050! Commit to give. 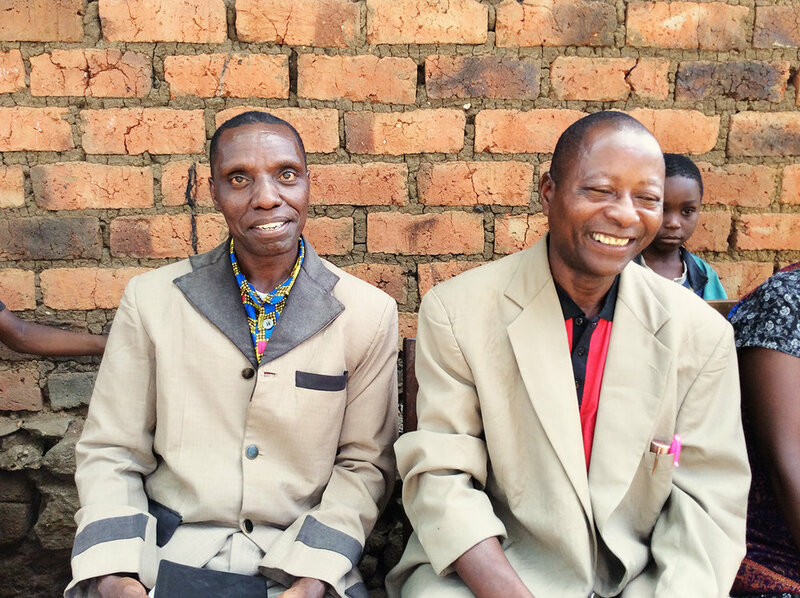 “It is the right time for God's Word to shine into the hearts of Pogoro people,” says Barnabas Sigwasa, the pastor of Pentecost Church in Tanzania. “When my wife and I started our church, we had five members. But then some people brought the gospel of John in Pogoro into our village and started reading it, and I brought it to use in my church. “It was a miracle! At the first Sunday service where we read the Bible in Pogoro, 6 people accepted Jesus as their Lord and Saviour. The next Sunday, 8 more people came to believe in God. I can see that there is great power in reading the Bible in our own language. Nowadays, people come from far away just to hear us read the Bible in Pogoro, and now our church has 22 members because of it. As we celebrate Jesus Christ during this season, He is ready to meet each one of us where we are. May we recognise Him and may our love for Him grow. The people in Mukumbura, Zimbabwe speak Kore Kore, which falls under the Shona group of languages. The Word for the World is currently working on the Kore Kore translation project. Nisbert Chagoka, who lives in Mukumbura, accepted Christ earlier this year and is still learning about the Bible. The joy of salvation is still fresh and burning inside him. "I'm feeling very happy that the Kore Kore Bible will soon be here,” he said. “It will help us if there is a Bible in Kore Kore so that we can understand it even better.” He has a passion for music and he has several Christian which he has composed himself in Kore Kore, and he hopes to one day record them. When the Kore Kore Bible becomes available, it is not only going to be beneficial for reading in church or at home but it will also enable young people like Nisbert Chagoka to be able to compose songs in their own Kore Kore language for the benefit and edification of the Kore Kore people. Many Christian songs and music have been penned, composed or derived from the Bible. Music forms an integral part of Christian life and there is no better source for this music than the Word of God itself, in the language that we understand the most, our heart language! Story and photos supplied by Piniel Tawanda Zimbizi. 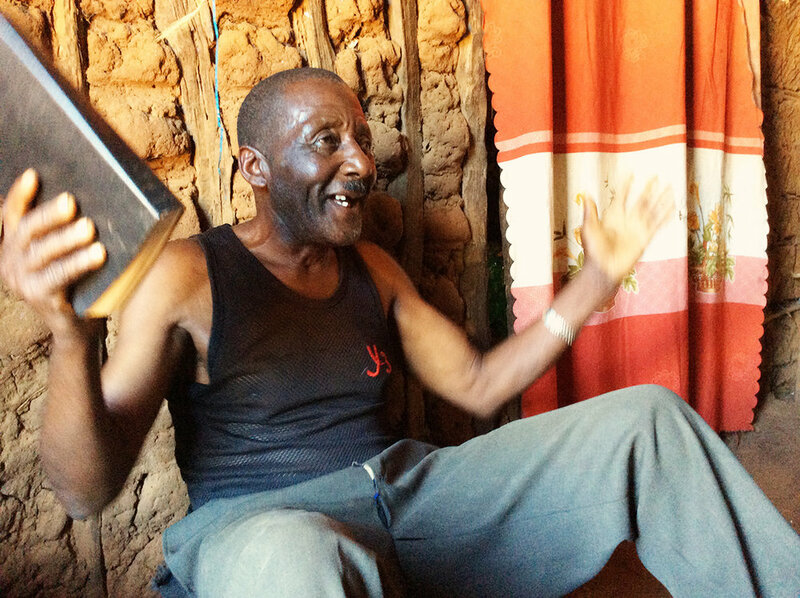 Bernatus Kachelewa is 83 years old and lives alone in his Pogoro-speaking village in Tanzania. He cannot work due to his age and the fact that he suffers from leprosy. Because of this, he relies on his neighbours for food and his other needs. His neighbour’s son came to visit him every day and read the gospel of John in Pogoro to him. He says that hearing the Word of God in his language touched his heart and hearing the Bible in his mother tongue brought peace to his spirit. He gave his life to Christ after hearing the gospel in his own language! I went to visit him along with John Kahonga, the Pogoro project leader. We cleaned his house for him and brought him food, drinks, and clothing. We shared with him more about the love of God, and as we were reading the Bible with him, some of his other neighbours came to join us. After hearing us read the Bible in their heart language and seeing how we had served Bernatus by cleaning his house and bringing him food, they also decided to give their hearts to Christ! 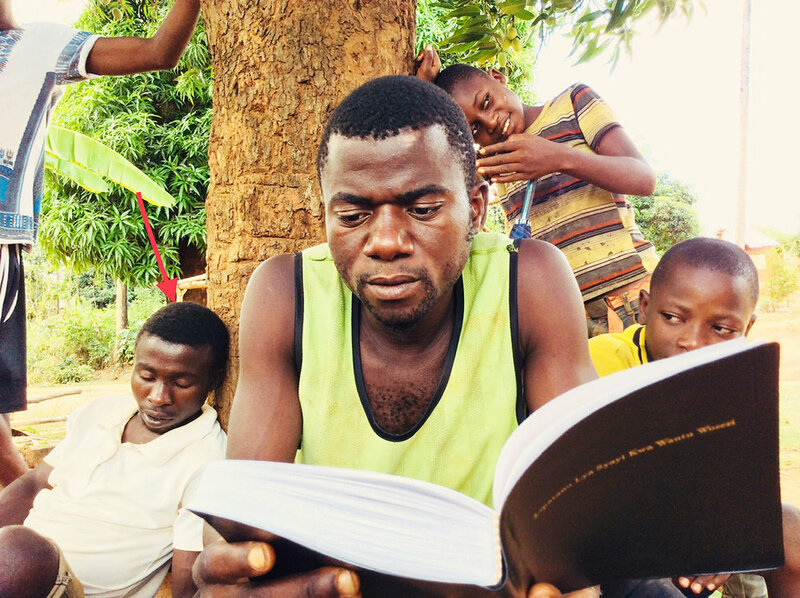 Literacy is a Crucial Part of Bible Translation! During 2018, TWFTW helped mother tongue speakers representing nine minority language groups to develop reading and writing materials for their own people. When a Bible translation project is initiated among a language community, the language is usually only oral and has never been committed to writing. A writing system is developed based on the sound system of the language, using the alphabet of the state which is adapted to suit the particular language. Some of the speakers of these minority languages may be semi-literate in the state or national language, but since their language has never been in writing ever before, all of the speakers of these languages cannot read or write in their own language. Literacy materials are produced during workshops held in the respective regions and are compiled by the speakers of the languages according to the guidelines given by linguists and others. Some materials provide a quick transition to reading in the vernacular for those who have already acquired literacy skills in a second language; and for the many who are illiterate in any language, there are materials to systematically teach them to read and write their own language and gain fluency in their newly found literacy skills. Books on basic mathematics, fables, and more are also prepared. Since each language is unique, every language team develops an individualised set of books for later use in community literacy programs. Literacy is a crucial part of Bible translation! To learn more about our work with literacy, visit www.twftw.org/literacy. Supplied by the Van As family. There is so much to be thankful for this Thanksgiving! We are grateful together with those who have received the Word of God in their heart language for the first time and pray that through this, they will know Him more deeply. And we are thankful for YOU for partnering with us and helping to end Bible poverty! May you experience God’s abundant blessings in your life, and we look forward to continuing our work with you to bring people the Word of God in their heart language. We Give Thanks to Him! The release of the Sakachep New Testament and the distribution of over 15,000 copies in Southeast Asia! 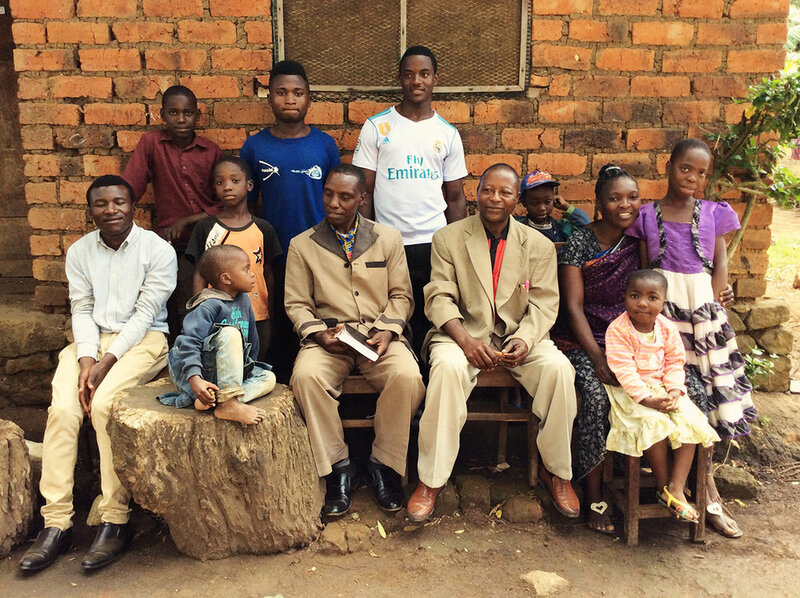 The amazing impact that the Word of God has been having in the Matengo community in Tanzania as translated portions of the New Testament are released to the people. 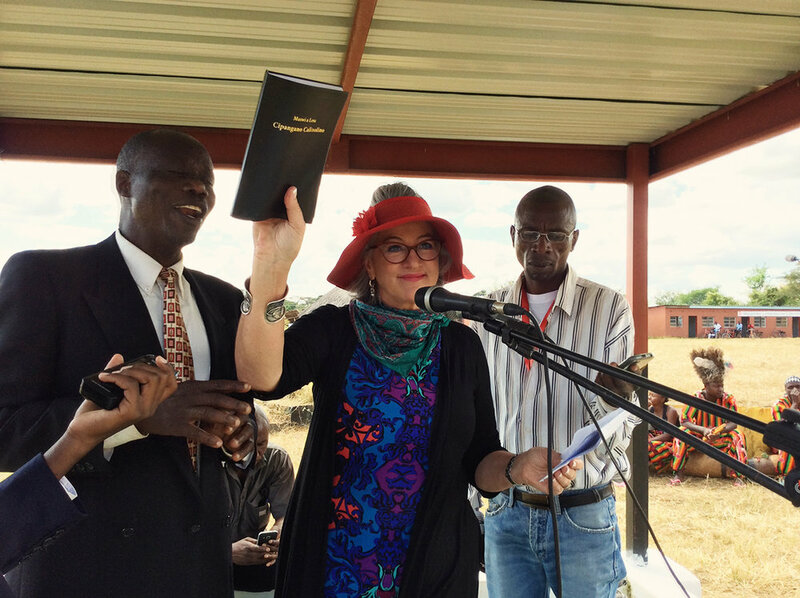 In Zambia, the widely celebrated and much anticipated release of the Soli new Testament despite the translation team experiencing illness, drought, and death. We praise God for their perseverance and for the Lord sustaining them through their work! 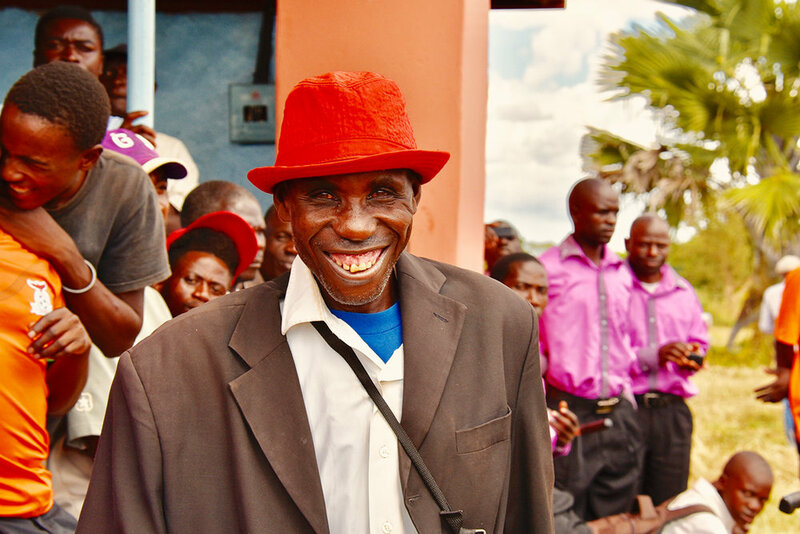 The joyful anticipation of the Kalanga and Kore Kore people groups in Zimbabwe as the translation teams work hard to bring the Bible to their people in their own language. The many testimonies of physical, emotional, and spiritual healing that have occurred in communities that now have the Word of God in their mother tongue! The 26 successful training events that we’ve held in 8 countries over the past year, and the 2 that are still to come before the end of 2018. Last but surely not least, we are thankful beyond words for you; your prayers, your unending support, your encouragement, and your unwavering belief in the work we are doing. As you gather with family and friends, may you have a blessed, restful Thanksgiving and receive the abundant blessings of God in your life.